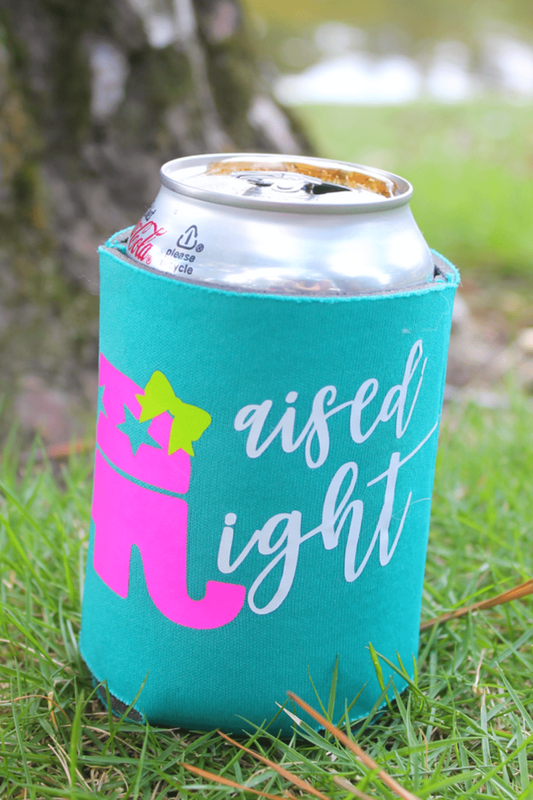 View cart “Raised Right Koozie – Teal” has been added to your cart. 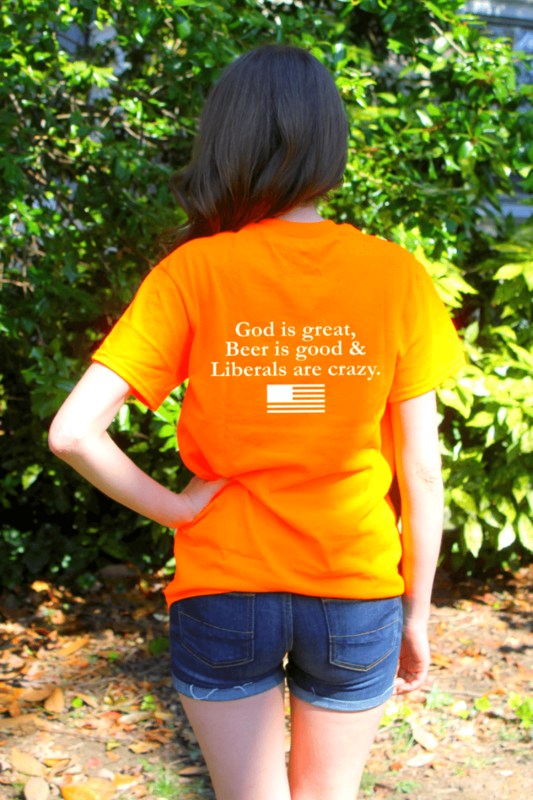 A Republican remix to the song "People are crazy" by Billy Currington. 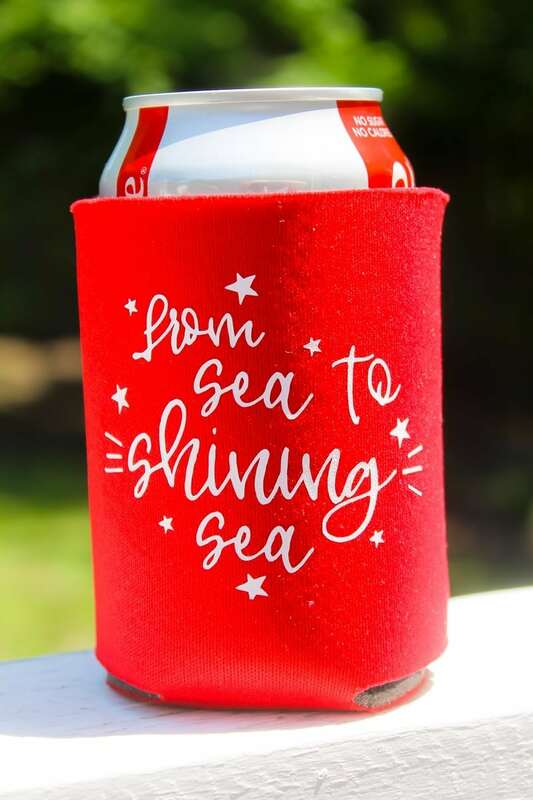 This koozie is a HOT SELLER! 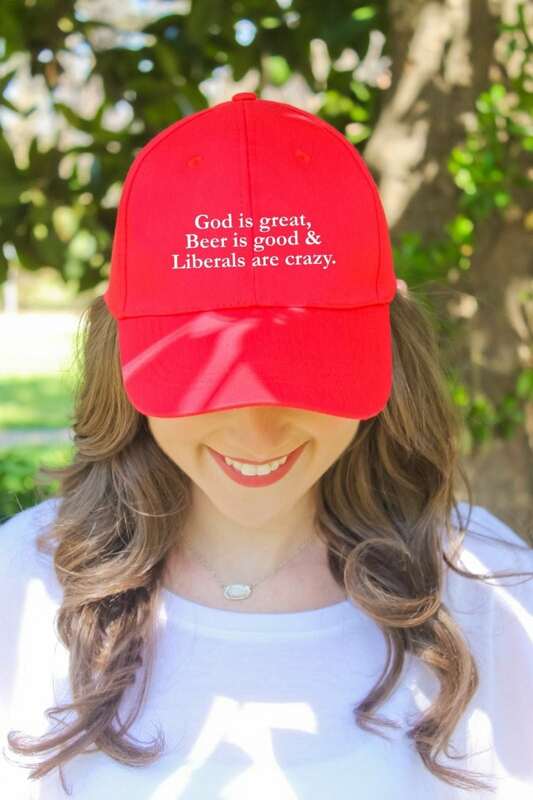 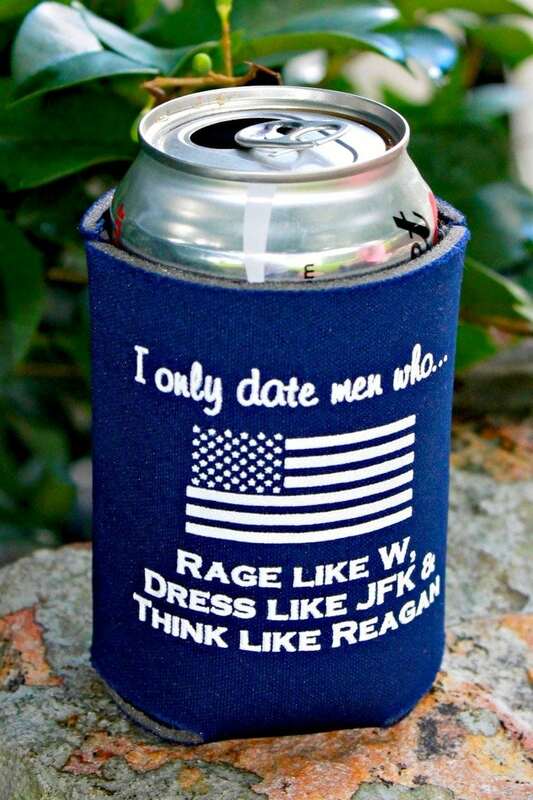 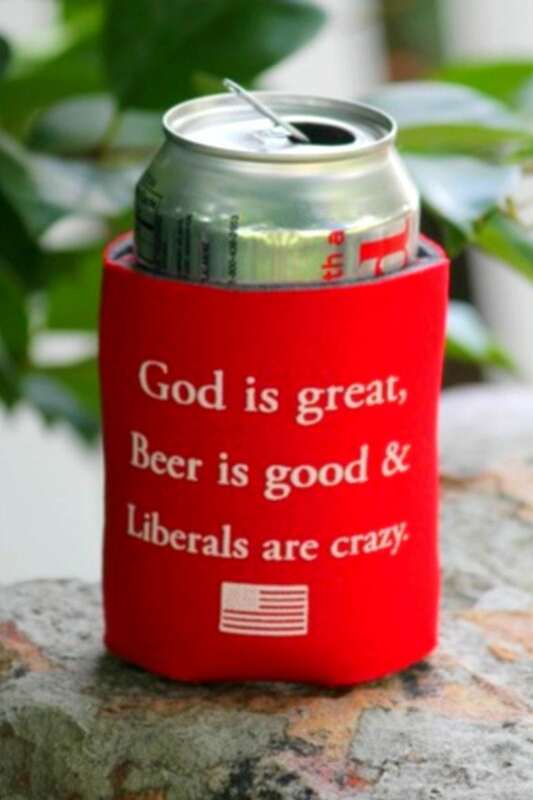 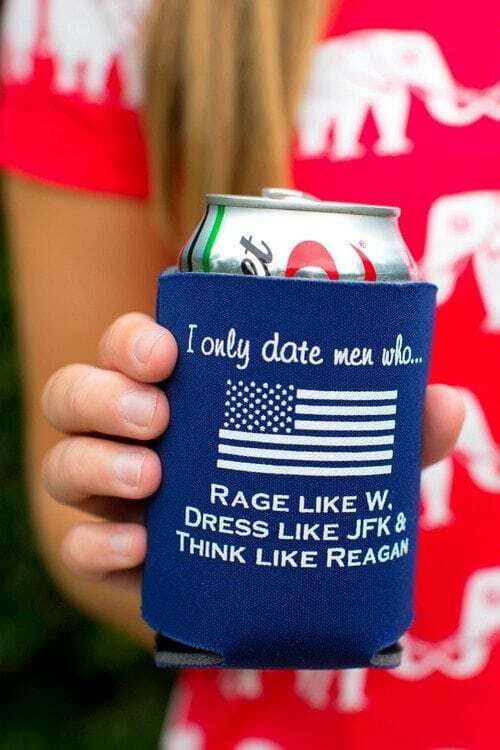 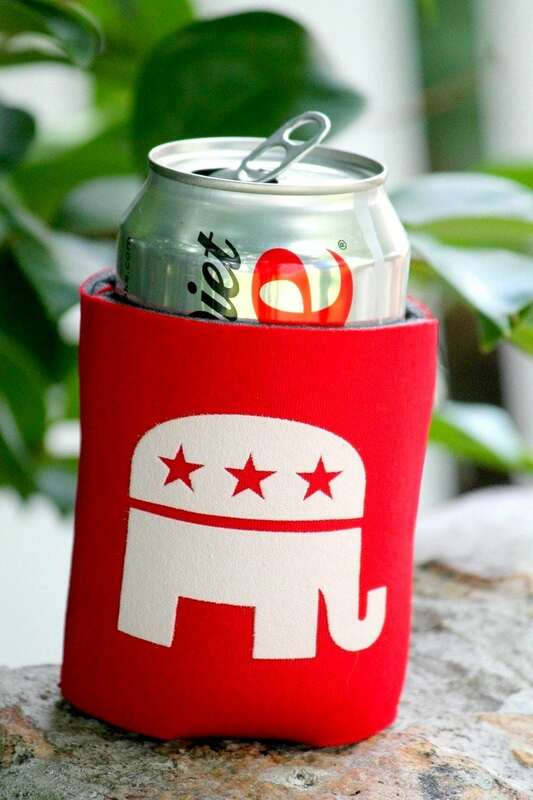 Whether you're a conservative boy or girl, you will LOVE this koozie. 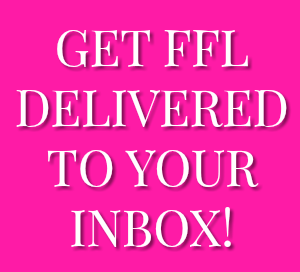 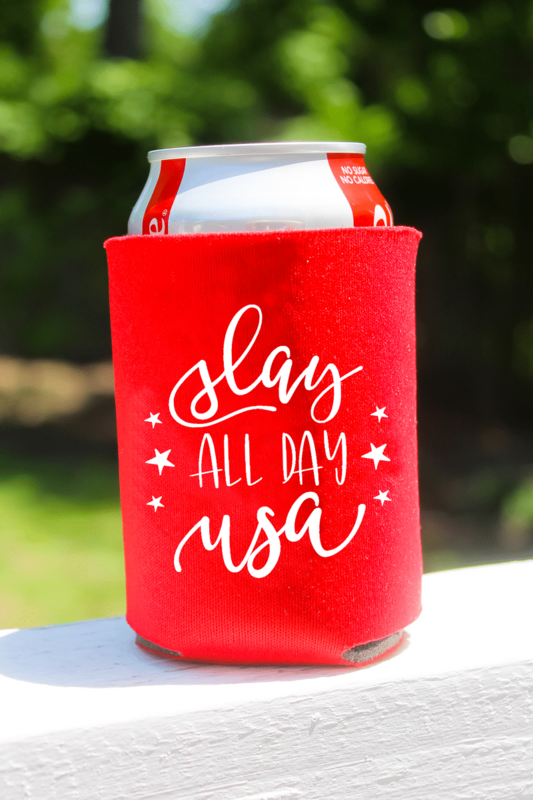 For every American lovin' girl! 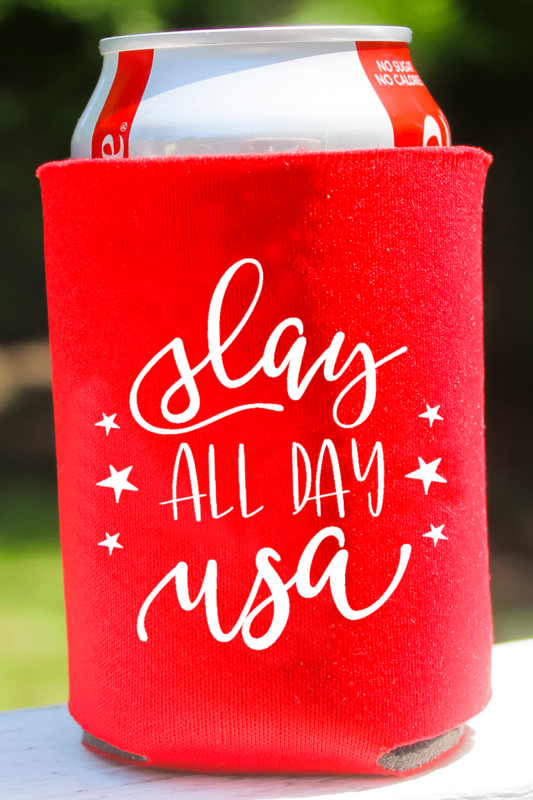 This has the perfect dash of sass and patriotism. 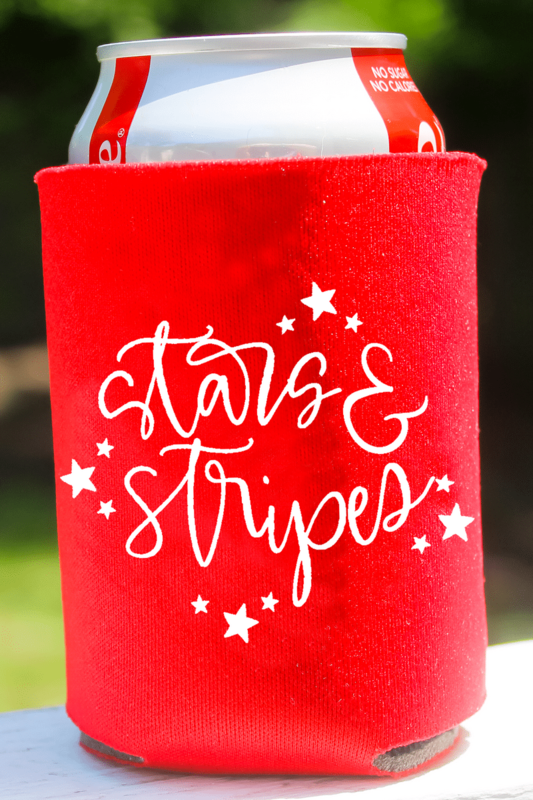 Fits most 12 oz cans, longnecks, and water bottles. 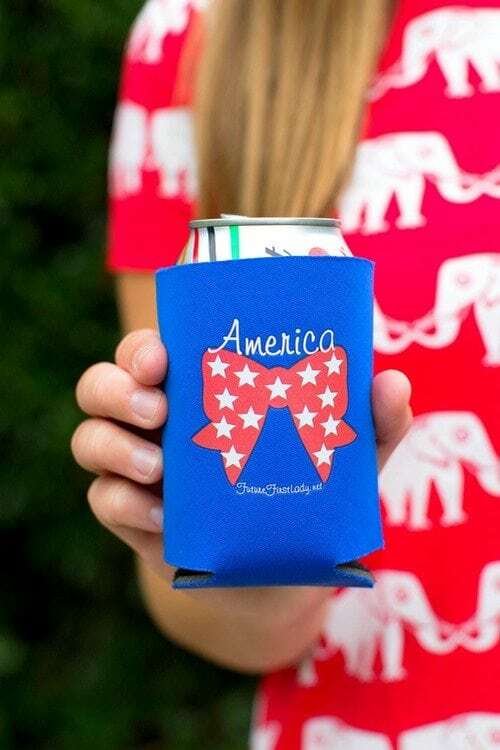 Show off you party pride with this teal koozie! 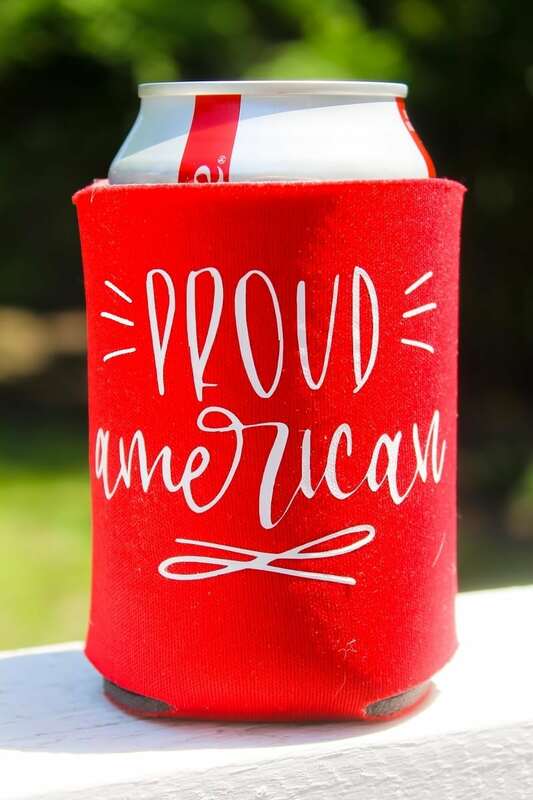 Fits most 12 oz cans, longnecks, and water bottles. 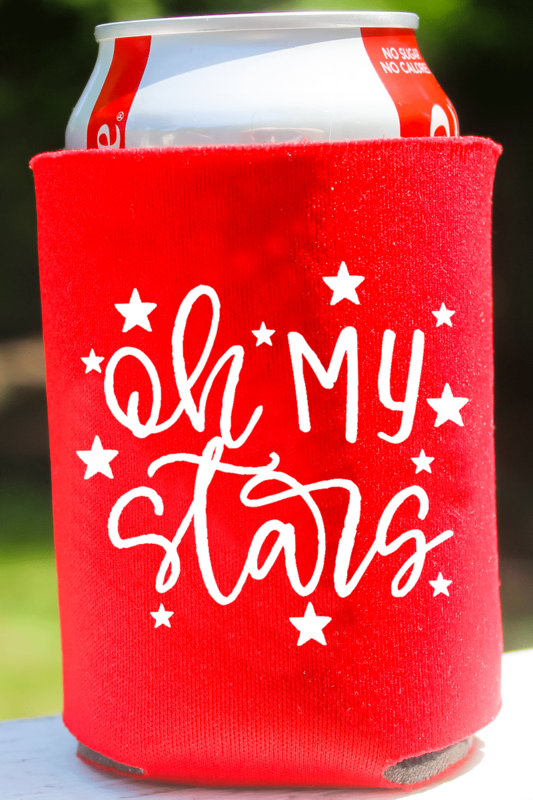 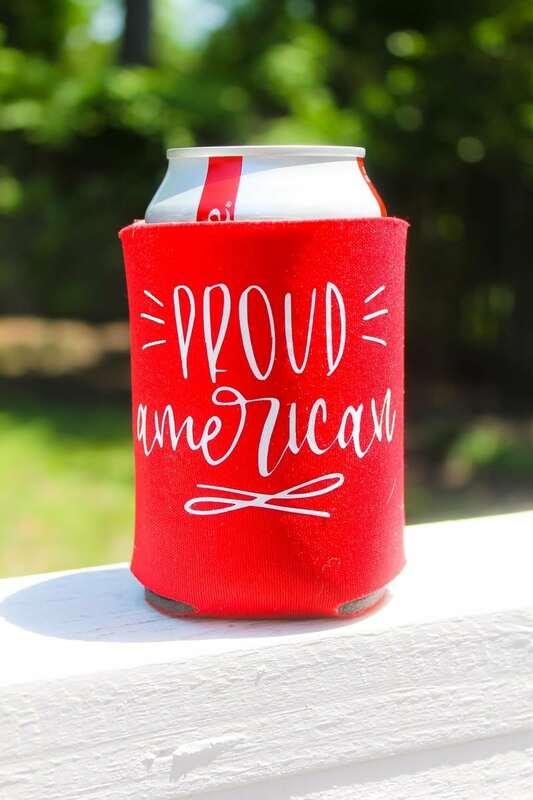 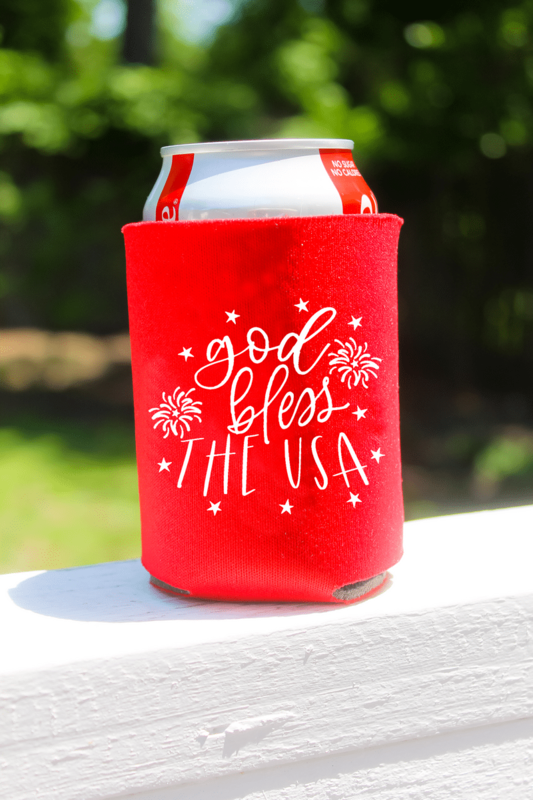 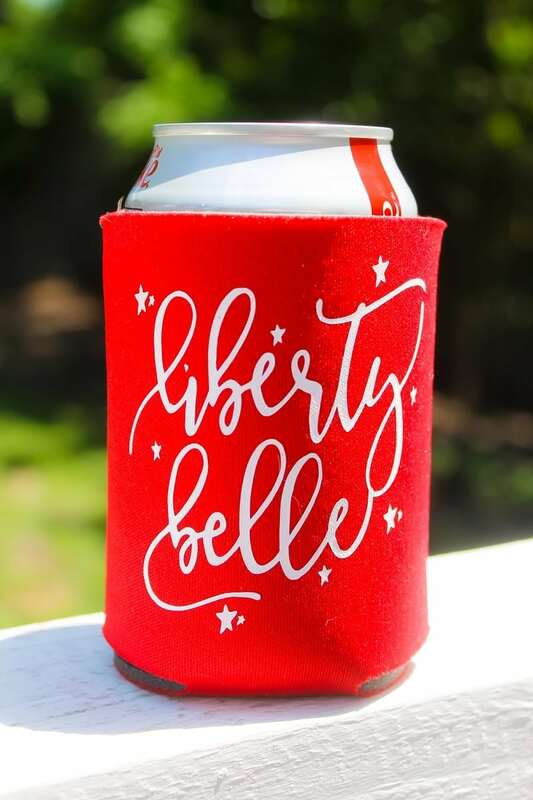 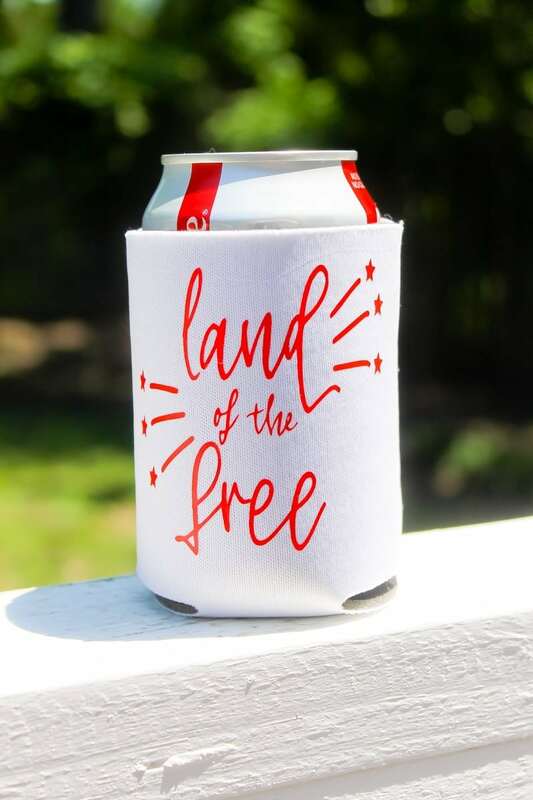 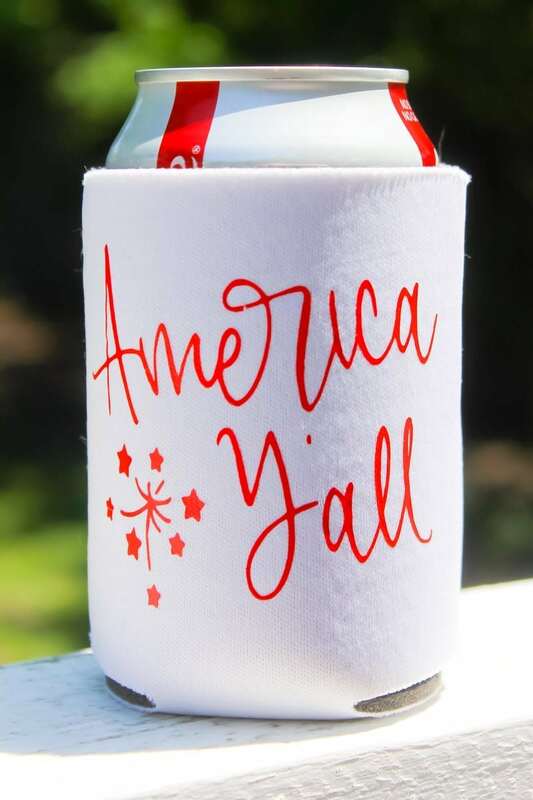 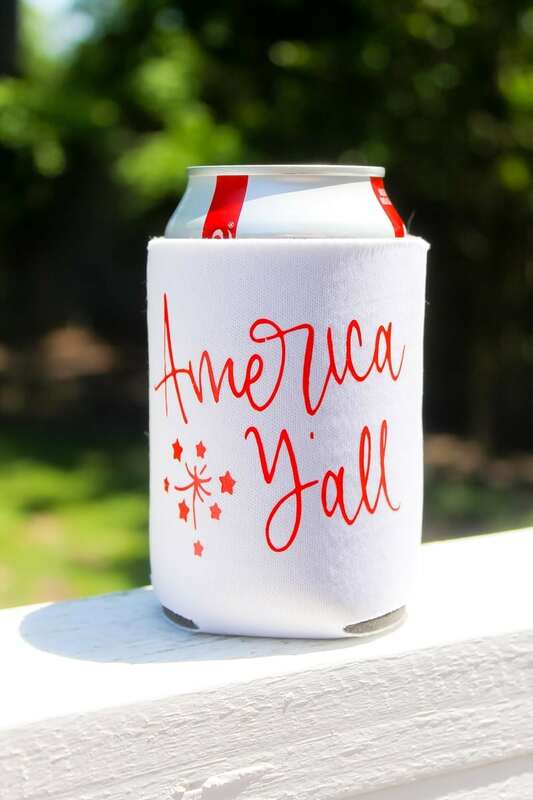 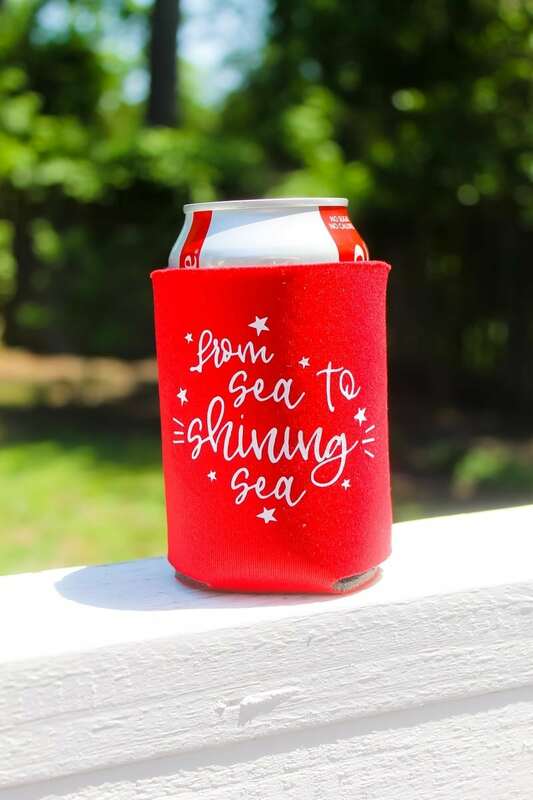 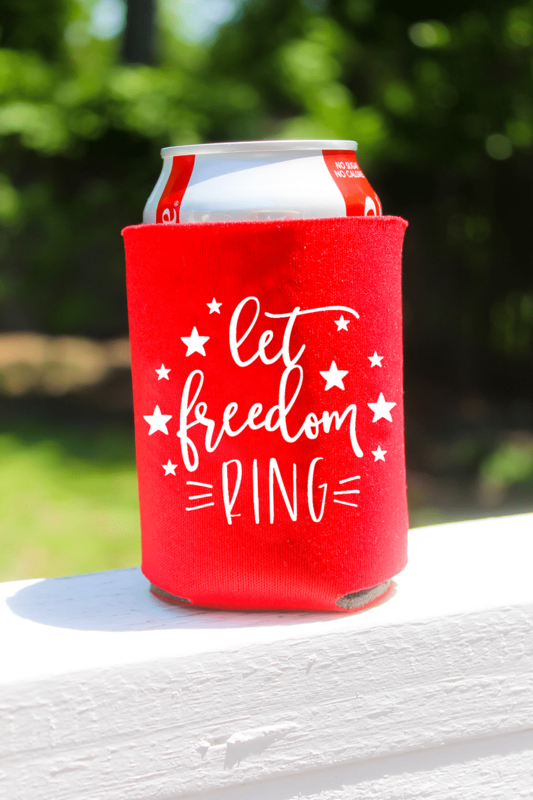 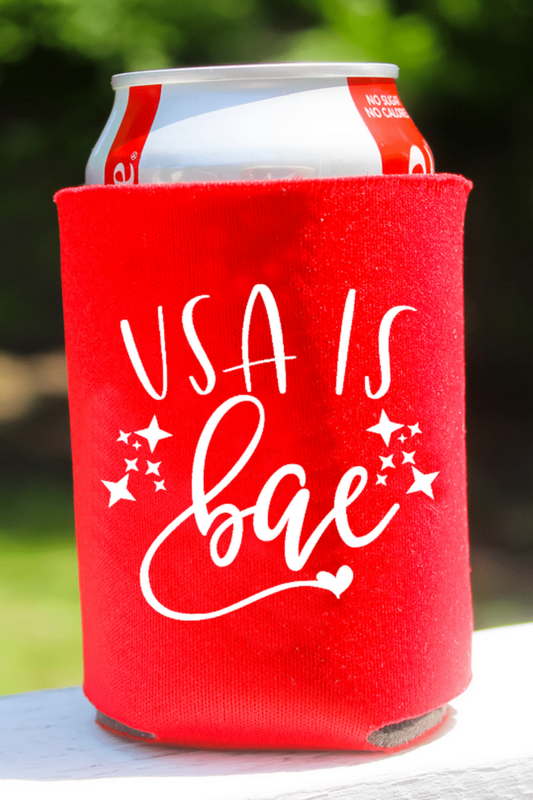 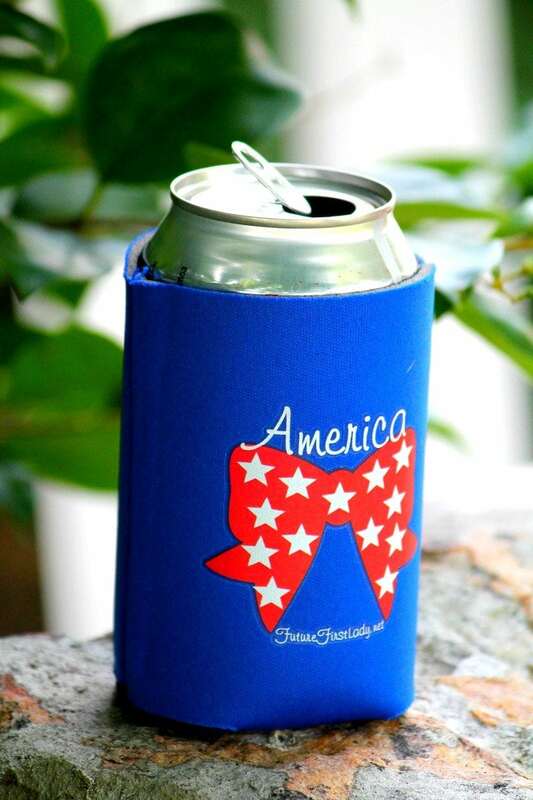 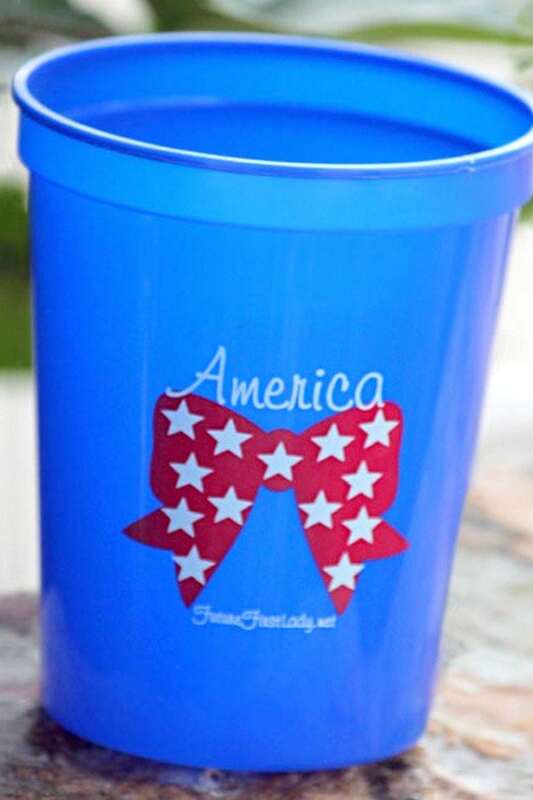 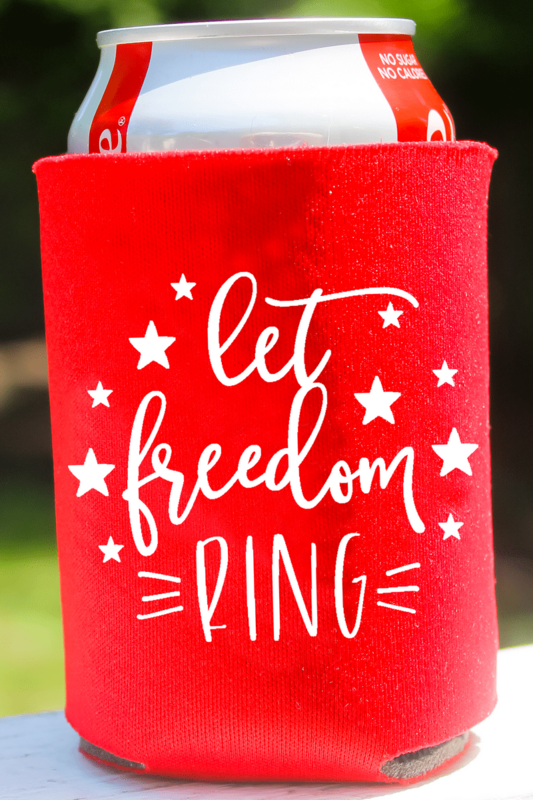 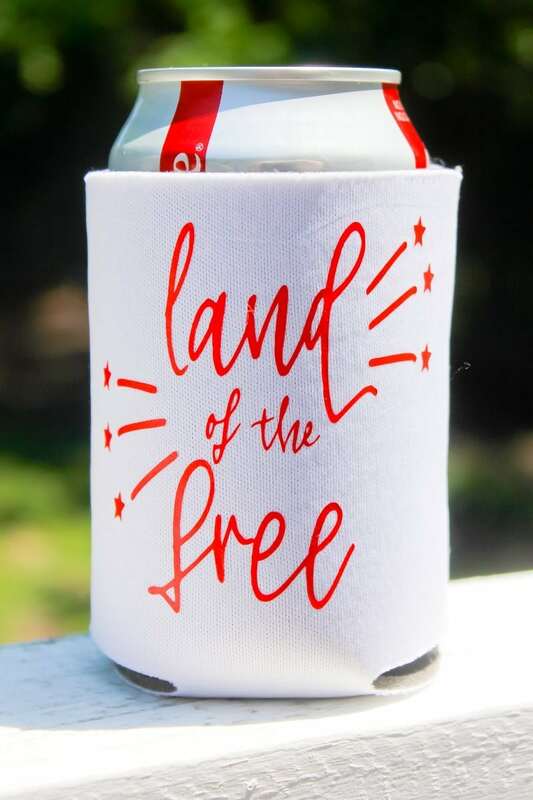 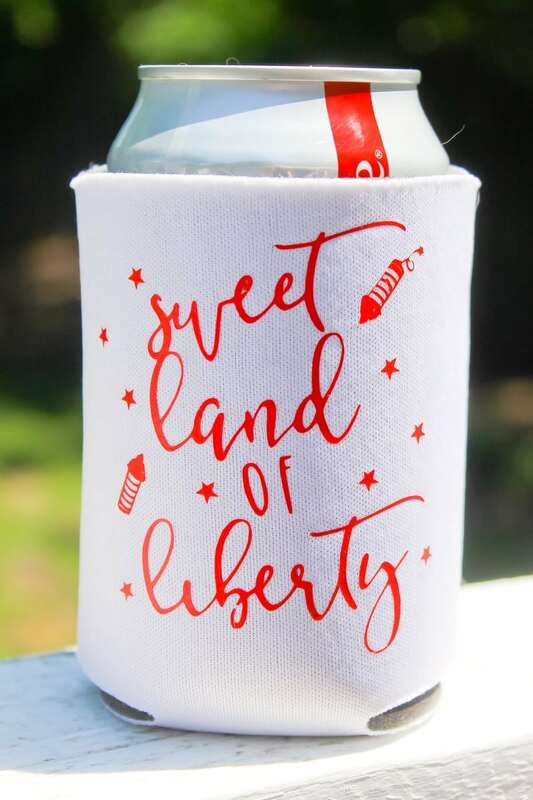 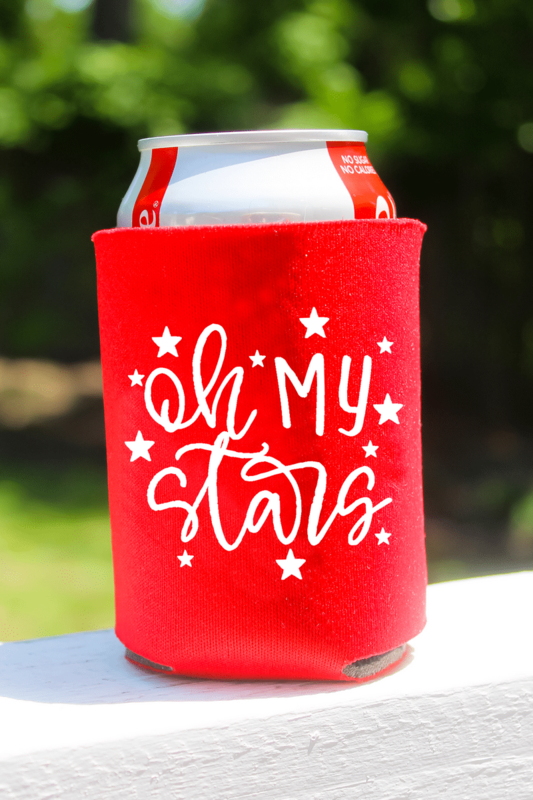 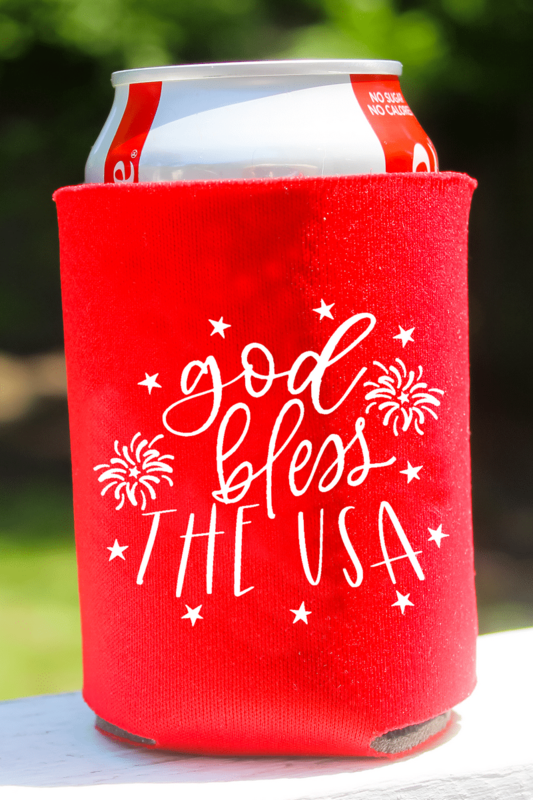 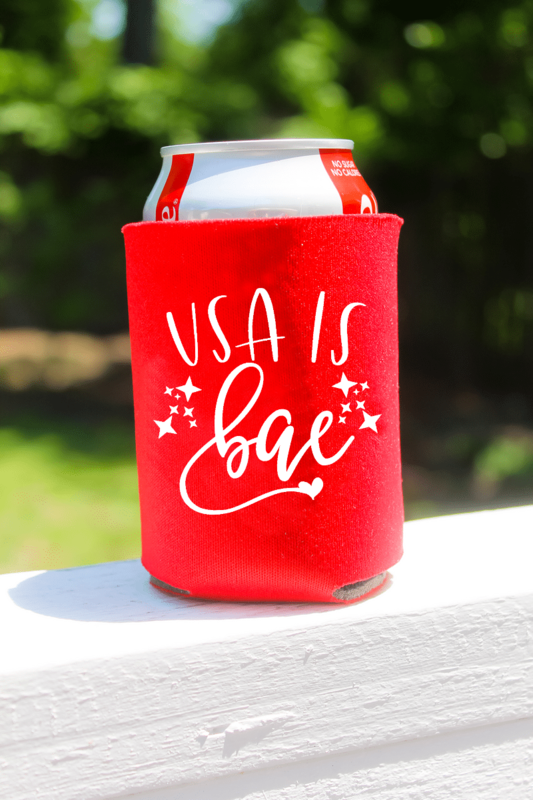 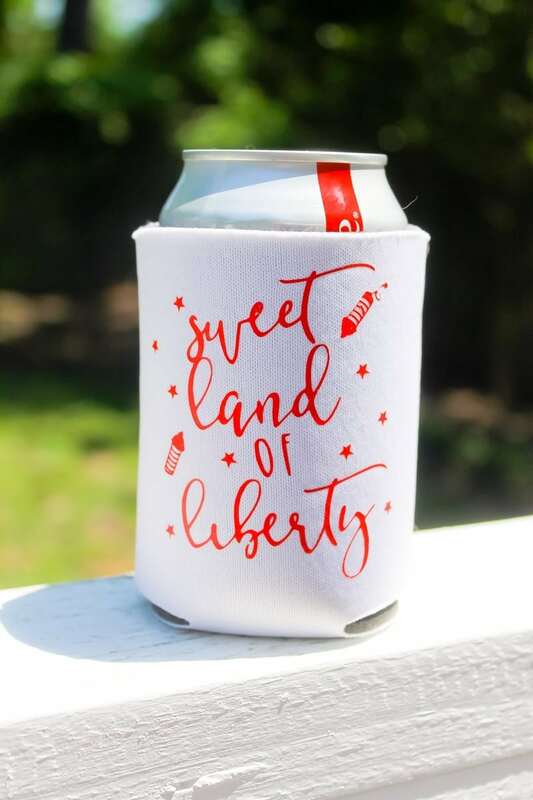 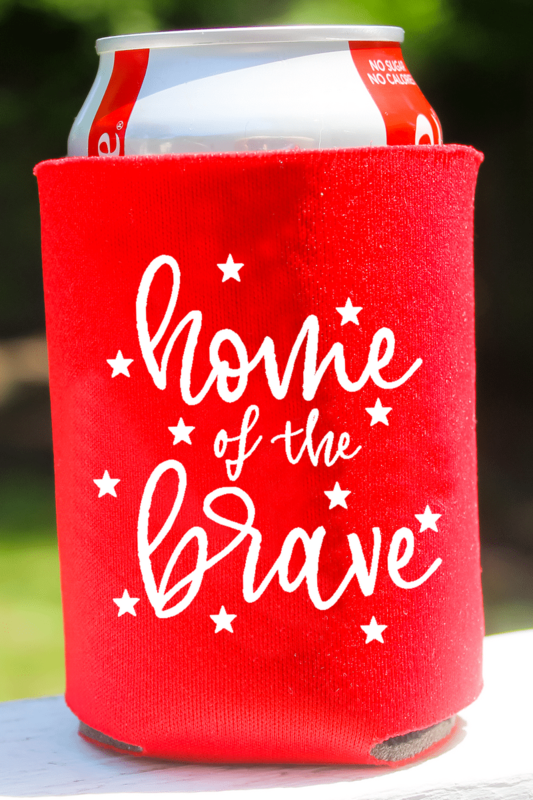 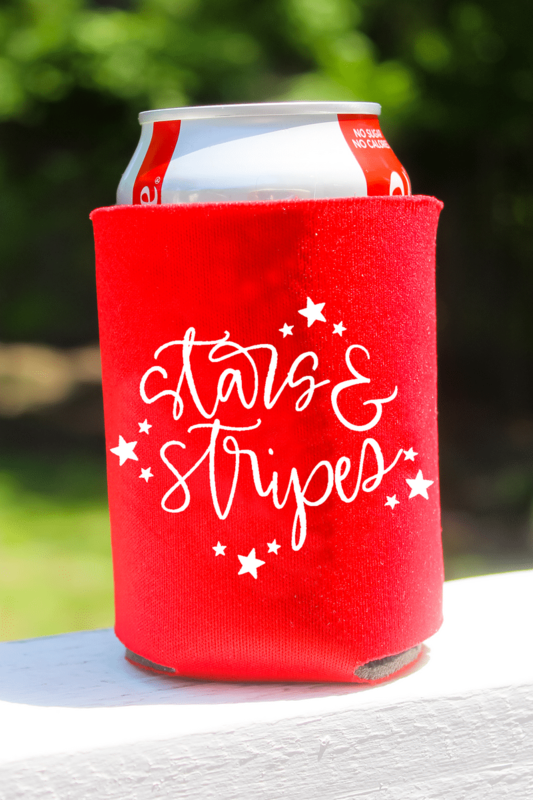 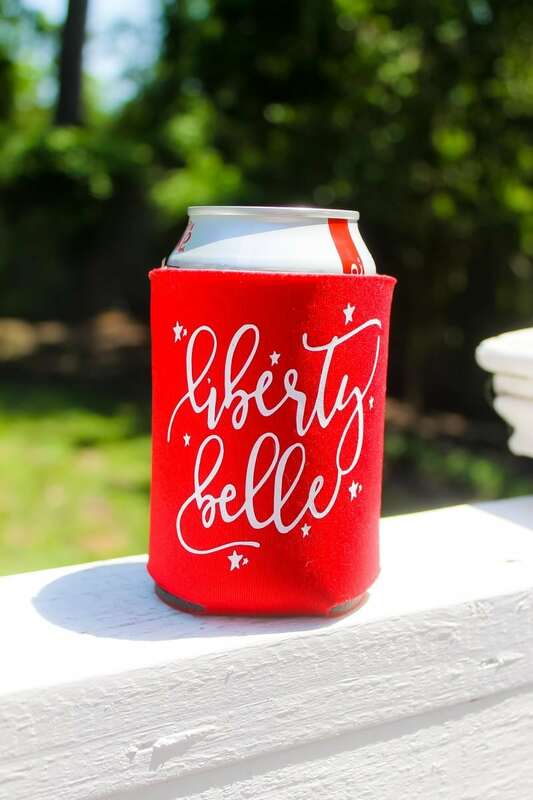 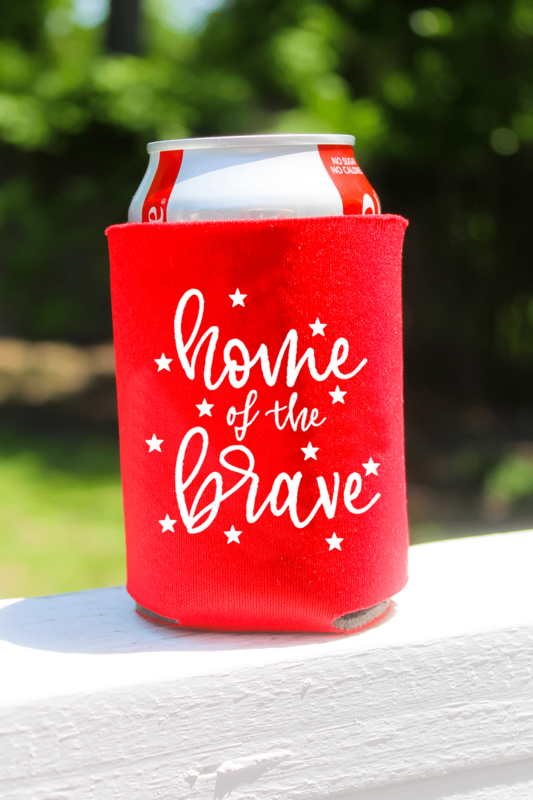 This patriotic koozie is perfect for that Fourth of July Bar-be-que you're already planning your outfit for!